This blog post offers some of my initial observations on religious sacraments in sign language. It is the conclusion to my paper for the American Academy of Religion. Part I was in my last blog post. The Catholic Church teaches that its sacraments are visible signs of invisible grace, a tangible means through which God communicates spiritual gifts to believers. The dual nature of a sacrament, as both material and spiritual, is roughly comparable to the sacramental use of any sign in worship. The human body, however, is especially relevant to sacramental meaning. In Doctrina Christiana, Augustine divides signs into natural and made signs. Natural signs, apart from any intention to use them as signs, still lead to the knowledge of something else— for example, smoke indicating fire, the footprint of an animal, or the countenance of an angry man. Conventional signs, on the other hand, are signs that people use to show, as well as they can, their feelings, perceptions, or thoughts. As Augustine points out, a human being is also a sign, a sign in the image of God. In the Mass, signs formed with the human body are at one and the same time natural signs and conventional signs, telling the stories of Scripture and performing the rituals of the Church in human-constructed language. This is true for spoken words in a Mass as well, but seeing sign language as the body in action epitomizes the truth of this explanation. In 20th century rhetorical theory, much is made of the sign and its forms in human communication. Kenneth Burke, arguably the most influential 20th century rhetorical scholar, defined rhetoric as symbolic communication that induces identification in humans, making them consubstantial with each other. When an audience receives religious communication in visual language through a deaf signer, that audience identifies with the deaf body as human in the most complete sense. For Burke, the definition of form in communication is: the evoking and fulfillment of desire. When a deaf audience receives the stories of Scripture in the form of a signing lector, or the sacraments from a deaf priest, that audience more naturally desires union with what the Church represents. On the second Sunday of Lent, Fr. Joe Bruce, a deaf Jesuit currently at St. Francis Church, gave a homily on Luke 9, where God says from a cloud, “This is my chosen son, listen to him.” Fr. Joe’s style of preaching aligns with the American Deaf traditions of storytelling, dramatic performance, and poetry in sign language. His homilies contain few long stretches of monologue and much interactive dialog. For example, he will call a teenager up and sign-and-speak a one-on-one Socratic dialog, or he will call parishioners by name, asking questions and including them as co-participants in the sermon. This form of homily, requiring immediate engagement from the audience, stands in sharp contrast to a homily at a non-deaf parish; even a spoken homily interpreted in ASL not particularly engaging, because it is second hand. Fr. Joe usually begins with a story from his own life, a sure way for his audience to identify with him as someone who also grew up with deaf experiences. However, in this homily Fr. Joe focused on a sign that might stand out for the deaf audience: listen. One of the ASL signs places a hand next to the ear, as if to hear better. It is bound to strike some of the people as ironic. He asks the congregation if any of them have decided to do something for Lent – not many raise their hands. Why not take time, he asks, to listen? “This means you listen not only to the words of the person but also to another flesh and blood person.” This is how the English manuscript puts it, but his delivery is much more interactive and present than the static words of a script. It is the person you listen to, not just the words. He gives examples of people who were good listeners: Mary, who listened to angels; Hellen Keller, who could neither hear nor see but listened through touch to her teacher Annie Sullivan; and St. John Vianney, who spent 12 hours a day listening to broken hearts in the confessional. Each time Fr. Joe perceives that his audience knows something about his examples, he asks them for information and confirmation, drawing out their part in the rhetorical reasoning, and giving them a vested interest in the meaning of the homily. When he can tell that the audience feels united in agreement—you might say in belief, for belief is what rhetoric aims to secure—Fr. Joe proceeds with his conclusion: an exhortation to attend to God by listening not just to his words, but to the person who is present to us in the signed readings and to human beings who are the body of Christ in the church. This is how form in persuasion works. As Plato put it in his Phaedrus, the office of good rhetoric is the enchantment of souls in order to move them to truth. Spiritual truths are beyond words, and prophetic writers and speakers have often failed for words and needed tangible signs for help. This is something the deaf know about. Last Friday, I presented a paper on sign language in the Mass at an American Academy of Religion (AAR) conference. The theme of the conference was “the senses in religious experience.” How could I resist? It was my first time presenting research on Deaf Catholics to such a group, and they gave me a name for some of the work I’m doing: “religious anthropology.” On my panel, entitled “Sensing Religious Subcultures,” there was an expert on Native American (Crow Tribe) expressions of Pentecostal Christianity, and a paper on “nones,” the new category of people who embrace whichever beliefs appeal to them, regardless of doctrinal affiliation. I have to admit that I found the conference both stimulating and puzzling. I learned that I need to do a spotless job of “bracketing my colonialist beliefs” when speaking before such a group (though they are more tolerant of beliefs, in general, than many social scientists). On the other hand, I also felt a little like Alice in a wonderland peopled with Jane Goodalls, colonizers of a different sort. Like the people in its congregation, St. Francis of Assisi Deaf Catholic Church in Landover, Maryland, appears ordinary at first glance. Inside the sanctuary, however, visitors can observe its special purpose. Behind the altar is the usual crucifix, but this is surrounded by a 15-foot, corona-shaped mosaic fashioned by parishioners. The terra cotta tiles on either side of Christ’s outstretched hands bear images of the ASL sign for Jesus: one stigmatized hand appears on either side of the crucified body, with the middle finger of the opposite hand touching a nail-wound. The rest of the corona is comprised of parishioner’s hand prints in all sizes, each bearing a nail mark, fanned out in an arch so that arrangement resembles tongues of flame more than death on a cross. The truth of this allusion is manifest as parishioners arrive, greet each other, and prepare for the opening procession. Here we do not hear tongues of flame speaking every language; here we see hands, and people themselves, embodying human language. In America there are several varieties of sign language ranging from Signed English to American Sign Language (or ASL). The choice of language variety often depends on the composition of the audience. 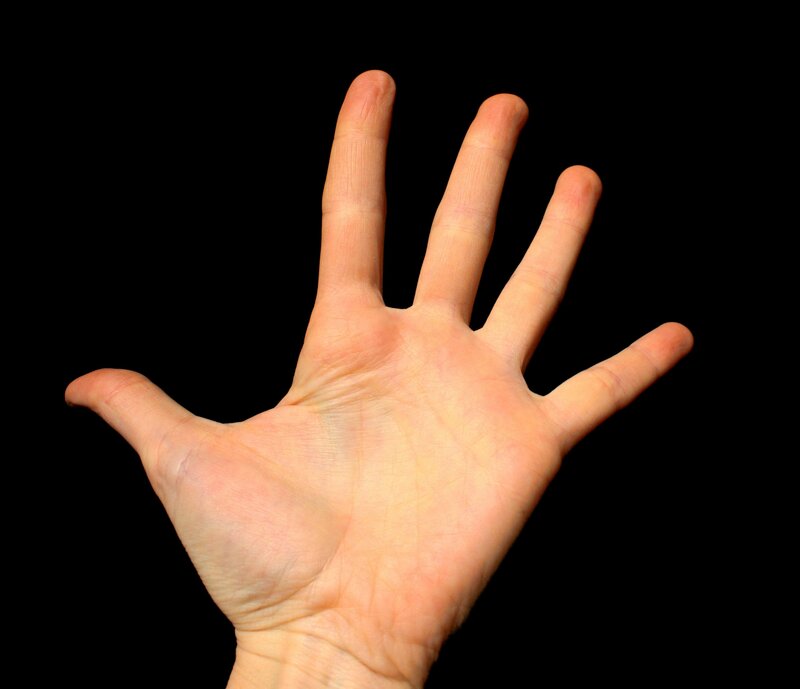 Because it is natural for deaf people to communicate with each other soundlessly and visually, ASL grammar uses the body and three dimensional space to convey distance, location, prepositional relationships, time, mood, number, and myriad other features which are conveyed in English by speaking or writing one word after another in a certain order. If there are hearing people present in a deaf Catholic worship service, and usually there are along with some hard-of-hearing and oral speaking deaf people, the priest will often say the English words out loud at the same time that he signs the ritual. In a form of communication like this, the signs must match, or nearly match, the word order of English. The result is a pidgin Signed English, or ASL signs in English word order. The English words of a Mass celebrated in this form generally follow the pacing of the signed communication. It is not difficult to see that Signed English is not a separate language, but a visual accompaniment to spoken English. ASL is the language accepted in elite sites of American Deaf culture, such as Gallaudet University and most deaf schools in the 50 states, where the complete language developed among students and alumni. At St. Francis parish, for a mixed audience, Deaf lectors sign scripture voicelessly in ASL, but a speaking person interprets in English or simply reads the English passage aloud at approximately the same rate as the signed communication. On occasion a deaf priest may find himself signing a Mass to an entirely deaf congregation. When there is no need to speak aloud because the company cannot hear, ASL is most often the language for American signers who have been exposed to deaf culture and other deaf people. Lip reading is exceedingly difficult and energy-draining, and most deaf people do not lip-read any better than the average hearing person after years of painstaking practice. In practice, Fr. Jerry’s onlookers notice that during a bilingual address, his style slips into and out of ASL as the dominant language, at those times allowing his pidgin Signed English to drop for a few phrases while he signs silently and then, a beat later, interprets himself verbally, occasionally speaking English in ASL sign order by accident. 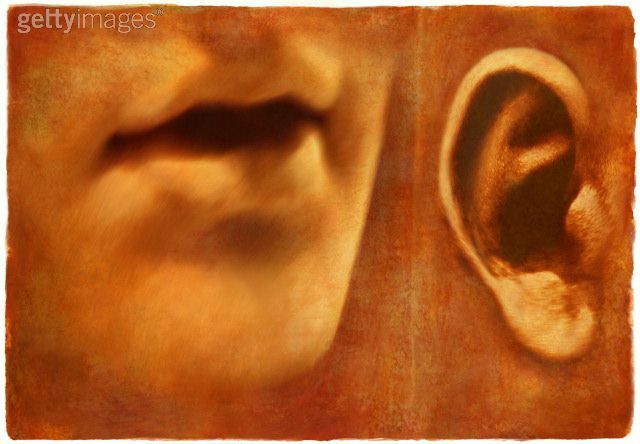 There is an unmistakable tension between language of the eye and the language of the ear, reminiscent of human kind’s dual nature as our spiritual and physical sides vie for the lead. On the Archdiocese of Washington website, you will find video examples of signed Mass prayers designed to help interpreters at hearing parishes. Individual signers may use slightly different signs, regional differences or ideographs representing an individual’s style. These kinds of differences are in the nature of gestural, manually executed communication. Unlike English, ASL has no written mode to codify the words and make them seem immortally permanent in print. Understandably, the seeming unchangeable quality of written words can make holy texts themselves seem a worthy subject of worship. However, the Mass in sign language offers congregations a complex presentation of words and signs used together in worship. For the hearing observer, it is easy to romanticize this act of communication because it is passionately present, yet seems otherworldly compared to rote recitation of written prayers. It may call to mind the platonic belief that absolute truth is inaccessible for word-making humans. My area of research is the history of rhetoric. In my field, we study the practice of persuasion through human use of signs. Taken together, persuasive signs can add up to eloquence—sometimes even sublime art. Traditionally, historians of rhetoric have studied oratory and writing, with the definition of sign being limited to voiced or written words. But gesture and the body have always been essential to meaningful and effective delivery for in-person audiences. It is true that resonant, correct delivery of speech sounds was the primary aim for 19th-century elocutionary schools in America. Their teachings often emphasized corrective, even medicalized approaches to speech, as in the work of Alexander Graham Bell. Other teachers of rhetoric, however, stressed a connection with the audience and the employment of the whole body for delivery. 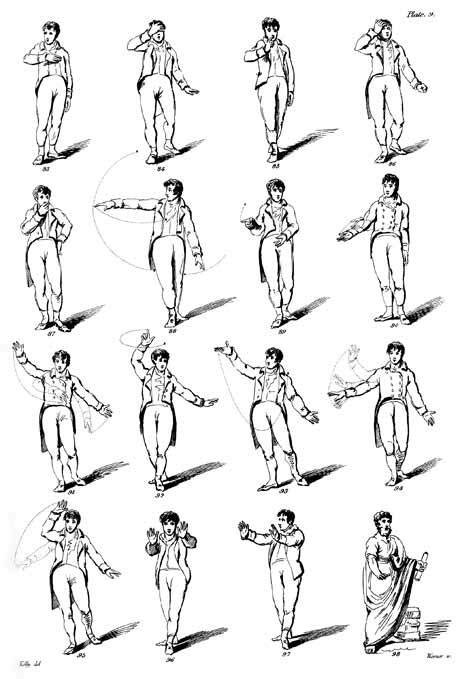 Elocutionists had many approaches to teaching gesture in rhetorical delivery, some rigidly choreographed like Gilbert Austin’s 1806 Chironomia, and some more natural like Thomas Sheridan’s Lectures on Elocution. As print and radio dominated American culture rhetorical gesture faded from view, but video and electronic media are bringing bodily, visual delivery back to audiences of all compositions and sizes. Hands and body are once again recognizably essential for the study of rhetoric. In this light preaching and other persuasive arts in sign language are important to the history of rhetoric in America. Although voice is an essential part of delivery in traditional eloquence, rhetors who use sign language have much to teach students of rhetoric and religious studies about the use of sight, touch, and the presence of the human body to exhort, teach, inspire, and lead audiences. The connection between religious rhetoric and sign language is not new; it has its beginnings in education for the deaf. The invention of sign language is often inaccurately attributed to French theologian and educator Charles-Michel del’Epée. L’Epée observed that the deaf community in Paris already used a gestural language, now referred to as Old French Sign. During the late 18th and early 19th centuries, L’Epée adapted the vocabulary of this natural sign language for use in his National Institute of Deaf-Mutes. His system, called the Instructional Method of Signs, used manual signs in French word order and invented signs to represent French verb endings, articles, and prepositions. Essentially, L’Epée had created Signed French. Before state funding secularized them, the first schools for the deaf began as religious schools. Religious education was a strong motivation for the development of signed languages from the beginning, especially in the mixed company of deaf and hearing people. Even Thomas Hopkins Gallaudet was a preacher who graduated from Andover Theological Seminary before becoming a deaf educator. Before 1921, when Fr. Charles Jean-Marie La Fonta became the first deaf priest, the Catholic Church had never ordained a deaf man. Since then, 18 deaf Catholic priests have been ordained and serve in the United States, Canada, Brazil, Columbia, South Africa, Great Britain, New Zealand, and Korea. In the United States and abroad, deaf congregations and their rhetorical conventions create a bridge of inclusiveness for deaf people in the larger culture. It might seem ironic that separate parish communities, with almost entirely deaf parishioners and signing priests, like St. Francis of Assisi, would help to assimilate deaf people. But it is not hard to understand if we see the deaf community as a group of people defined by their common use of visual and tactile language. In America, we have parishes that provide Masses and pastoral services in Spanish, Portuguese, Korean, Ukrainian, and scores of other languages — all without the distancing mediation of third-party interpreters.